Responsible online gambling guide - Play in your limits! Gambling online should be treated as a leisure pastime, as an entertainment choice the same as going out for a meal or going to the theater or cinema. For many people though gambling ends up crossing incrementally from entertainment option to problematic gambling to addictive behavior. Such problematic gambling can have a negative impact over an individual’s life, not only financially but also mentally. Excessive gambling on a constant basis can put individuals under tremendous mental pressure, and can lead to a situation where more money is put at risk than one can afford. To combat problematic gambling and promote responsible gambling read our guide below which explains which individuals can find themselves prone to negative gambling behavior and how you can take actions to gamble responsibly. Who could be at risk of problematic gambling? First off, pathological gambling can be said to be somewhat genetically inherited. Thus, some people are more likely to get addicted to it and are under greater risk of developing other problematic or destructive behaviors) For those who realize they have some form of problematic gambling behavior, it’s probably been at the back of their mind ever since they were first exposed to gambling. They were always much more keen to gamble than their friends, and always felt it’s a supreme experience which is second to none. Such individuals should be aware of their situation, and are generally advised not to participate in any gambling activity as it’s a slippery slope for them. If they choose to gamble they should do so cautiously and under the form of supervision of trusted friends, that can monitor their behavior and notify them when they cross the line between entertainment and addiction. The second risk group is people who are undergoing tremendous pressure or have experienced a traumatic event in their lives. These extreme situations can have an impact on one’s gambling pattern and can turn recreational gamblers into compulsive gamblers. It’s best to avoid gambling when life isn’t stable. The third group is people who are not in a position to make decisions about their life. Anyone younger than the legal gambling age in Canada, 18, should cease even considering to gamble (and no casino would allow them to play). People who are mentally challenged or suffer from other conditions and are appointed with legal guardians should not consider gambling. Whether you think you’re the type or person with addictive tendencies or have just started to play online, following our five key rules below and looking at how the online sites themselves can help manage your gaming will enable you to play online in a healthy and fun way. 1) Choose to gamble online for entertainment purposes (professional gambling is something completely different). 3) Set a bankroll for your gaming and stick to it. Unlike their ‘bricks and mortar’ counterparts which have been accused of creating environments that can lead to problematic gambling e.g. by not having any clocks or windows to distort the feeling of time spent in the casino, their online counterparts have adopted an altogether maturer approach to problematic gambling implementing policies and tools to promote responsible gambling. Time outs – at your request the casino can close your account for a specific period of time e.g. from 24 hours to 6 weeks+. During this time you won’t be able to access your account and the casino will stop sending any marketing / promotional materials. The account will ‘re-activate’ at the end of the time-out period. Self-exclusion – a step further down the line from ‘time outs’, online casino sites at your request can block your account indefinitely i.e. it won’t re-activate at the end of a time period. 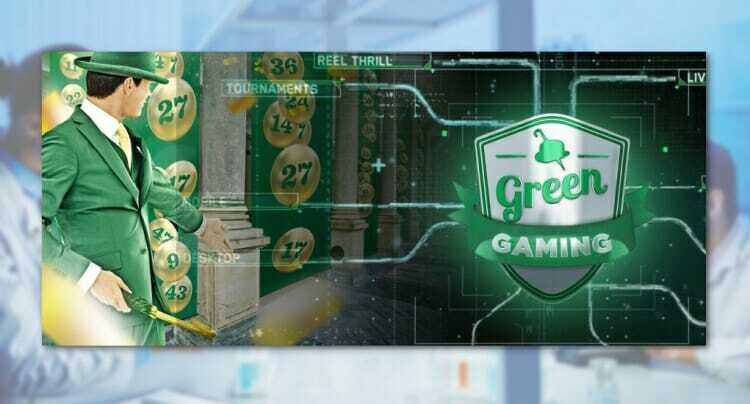 To re-activate the account you would specifically need to contact customer support, with most casinos normally re-opening the account after a 24hr to 48hr cooling off period. Loss limits – some Canadian online sites offer loss limits where you can specify how much you are prepared to lose over a time period. Disclaimer: This guide does not constitute legal, medical or psychological advice – it’s our opinion on the topic based upon personal experience. We request you to gamble responsibly. If you believe you are suffering from a gambling addiction, please seek professional help.